We’ve just been on holiday to Cornwall. The trip down there took over eight hours. We downloaded a film for the girls to watch, but we needed plenty more entertainment. We’ve somewhat exhausted traditional ‘I spy’ when it come to motorway travel, but here are our top six car games for long journeys. There are several variations of this game and I doubt ours is one of the ‘official’ ones. However, the idea behind it is that you have to find all the coloured balls you’d find on a snooker table, but as car colours instead. We start by spotting a red. Then we have to find a yellow then another red followed by a green, back to red then brown etc, etc. It always goes pretty well until we get to the ‘pink ball’, which takes quite some time. Some people play where you have to spot 10 reds first then the colours in sequence, or with a time limit and miss a go/penalty points if you don’t get your colour. We keep it simple though. This is a particularly good game for including younger children as they love just spotting different coloured cars. Top Trumps is a classic game that’s brilliant for the car. Each card in the deck has a list of attributes, powers etc and a score beside it. The aim of the game is to compare the values and try to ‘trump’ and win the cards of opponent/s. There are literally 1000s of different decks available across all age groups (starting from age 3 – see some here) and interest groups from Trolls, Minions and Star Wars to Dinosaurs, farmyard animals and cars. I remember these books from my childhood. 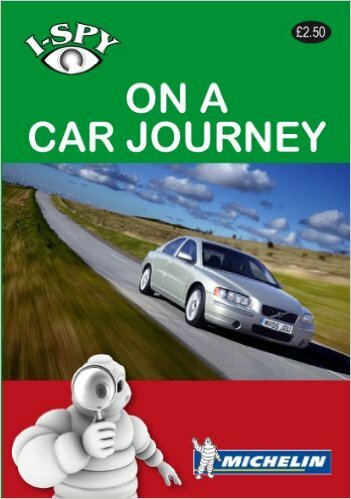 They’re great and we’ve got quite a few, but for the car it can only be i-SPY on a Car Journey. They’re really good value so if you have more than one child, you can get each one their own to save arguments. Different things to spy are each worth different points according to how difficult they are to spot. This can be played competitively – as in count up who has the most at the end of the journey – or individually. Are we there yet? (for ages six and above) is a great game as it can be played on the motorway, A roads and local roads. 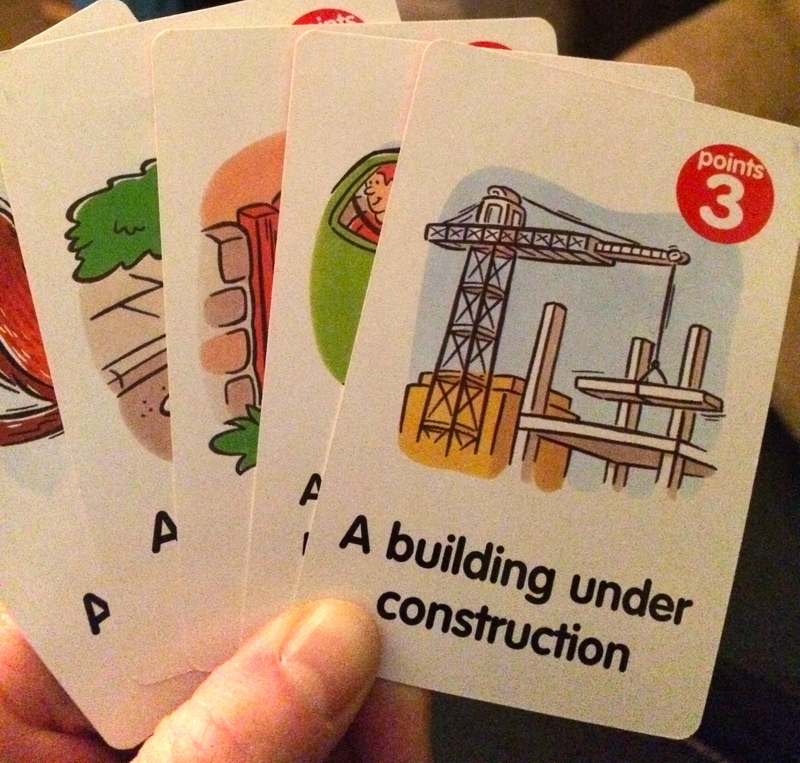 Each player is dealt five cards, which incorporate the categories of objects, people, signs, vehicles, and animals. The object of the game is to score points by spotting the items on your cards in the allotted time or distance (whatever you decide). Each time you get one of your cards, you get a new one so that you always have a hand of five. You might get something that’s impossible to spot if you’re on the motorway (for example a T-Junction). In this scenario you can swap this card for another, but you have to forfeit one of your scoring cards. The person who has the most points at the end of the time/mileage is the winner. We have this Are we there yet? in a case with quite a lot of cards, but you can buy a one pack version. One of the old school car games. This isn’t playable on the motorway but is great for those country roads. Again, there are numerous versions, but in ours each child or team (however you want to do it) chooses the left or right hand side of the road. Each time you pass a pub, the person or team whose side it is scores the number of legs in the pub’s name (if any). For example, The Red Lion would score four as a lion has four legs. 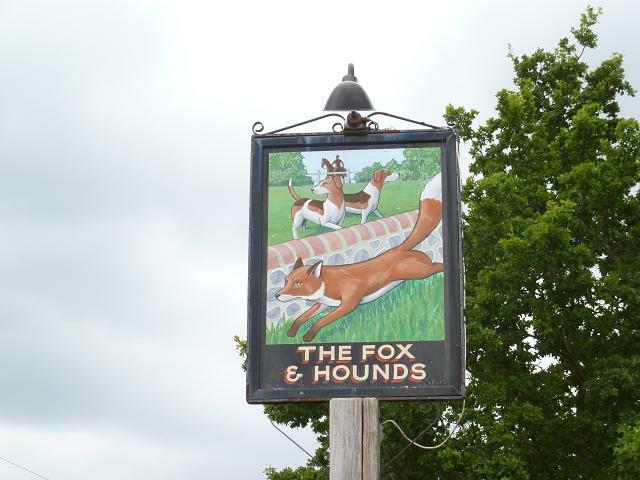 The Fox and Hounds scores 12 (as in our version plurals – unless specified – count as two) as does The Three Greyhounds. According to Wiki, the highest-scoring pub known in Britain was ‘Million Hare’, in Woolwich. That would score four million points. Sadly, according to my research, it looks like this pub has changed its name to something non pedi. Please let me know your highest scoring pub!! 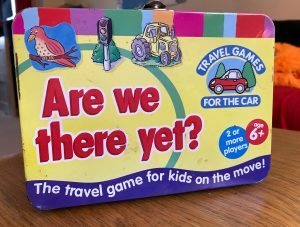 A very simple yet entertaining car game, which works on both motorways and local roads. Starting with ‘A’, the idea is you find all the letters of the alphabet on car plates, in sequence. Apart from the exceptions mentioned in a sec, the letters have to appear on different plates ie you can’t tick off A and B if they’re on the same car plate. The letters ‘I’ and ‘Q’ are not used on British car plates, so for ‘I’ we look for the adjacent letters H and J on the same plate (a bit trickier, but not as difficult as you’d think) and for Q we look for P and R on the same plate. We play both as one team and competitively. My inner Monica Geller comes out in the competitive version! If you are playing head-to-head, you have to spot your letters on different cars to each other. A French version – When I was a child, we often drove extensively through France on our way to visit family in Italy. Some of the car games worked, but we had a specific one for France: spot the department. France has 95 departments (regions) and each car has a specific number on its plate to identify which one it’s from. We had maps of the departments, which we coloured each time we spotted one. We never completed it!